No Smoking Beyond This Point Engraved Sign | 4" x 6"
Say it all without saying a word with this No Smoking Symbol Vinyl Decal. Keep the area smoke free with our weatherproof stickers. Our vinyl decals are made from the highest quality materials and are easy to apply to any surface. Simply clean the designated area, let it dry, and place the sticker in the perfect spot! Smoking is not allowed! 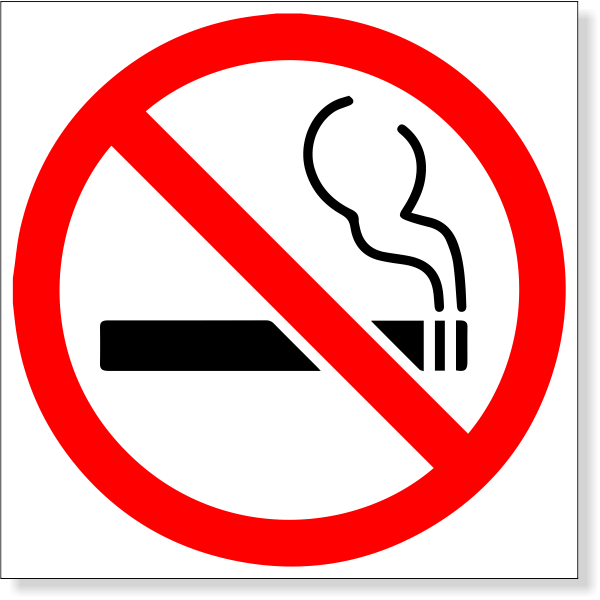 Easily let your patrons know with our No Smoking Symbol Decal! Order today!